Short of replacing the legs on a chair to make it taller -- or mounting it on chair raisers, which make the furniture clunky-looking and hard to move -- there's not much you can do when you'd prefer just a bit more height for your seating. An extra-high chair cushion will shrink the distance between the seat and the arms, but possibly make it awkward to rise from the chair. A good solution is to add casters, which can be attached to many types of chairs -- and will raise them 2 to 3 inches or more in the process. Use locking casters for greater stability. 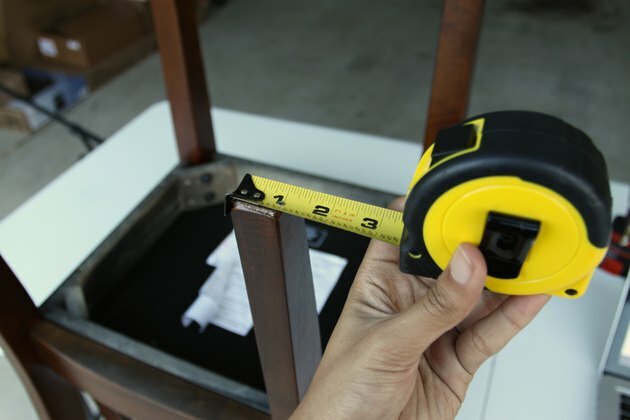 Measure the dimensions of the bottoms of all four legs of the chair to be raised. Some chairs have different style front and back legs with different dimensions. Purchase stem-style locking casters that fit the chair leg dimensions, complement your chair and provide the height boost you need. 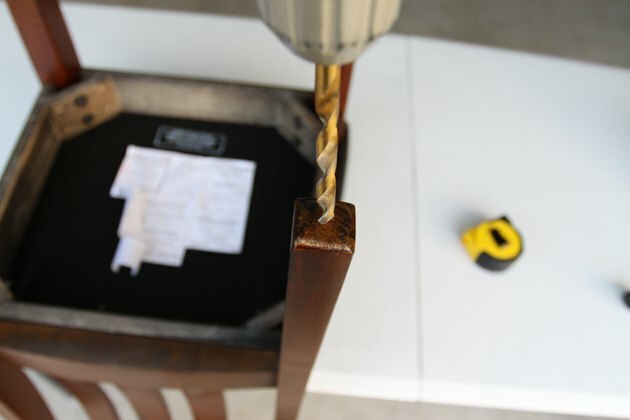 Upend the chair; secure it so it won't shift or wobble, and find the exact center of the bottom of each wood leg. Mark these center points. 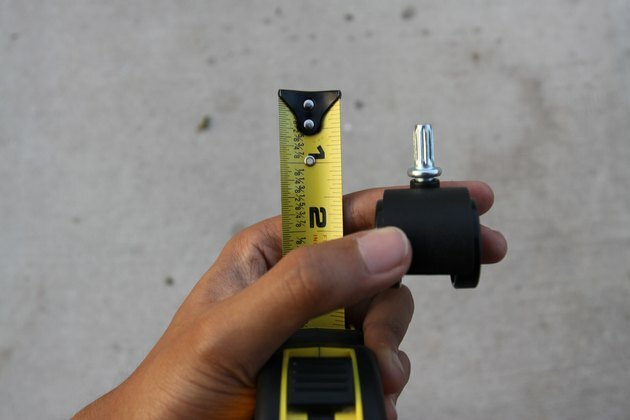 Measure the socket adapter of a stem caster to find its length. Tape your drill bit at the length of the adapter. Position the drill squarely at the marked point and hold it steady so you drill straight into the leg. Stop drilling when you reach the tape. Drill holes in all four legs. Tap a socket adapter into each hole and snap the stem caster into its socket adapter. Turn the chair right-side up and position it in the room. 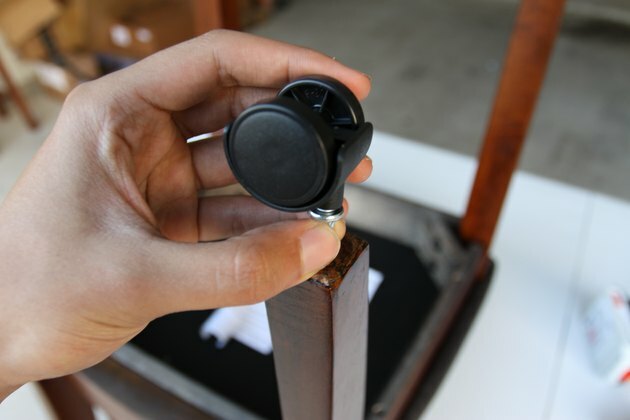 Lock the casters of an armchair or lounge chair so the chair won't roll. 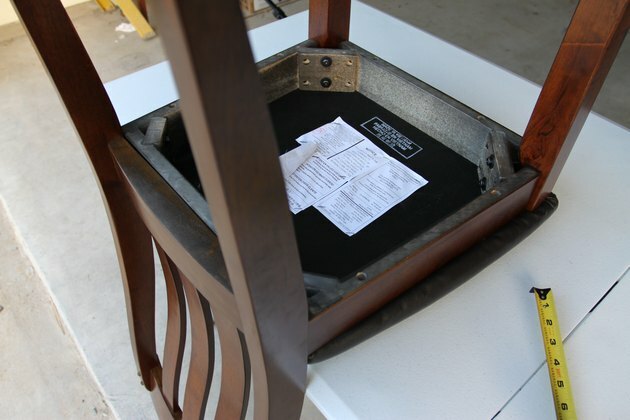 Leave the casters unlocked for dining or desk chairs.